Responsive designed Landing Page to build keyword content & utilize a domain name that is recognizable in the area! 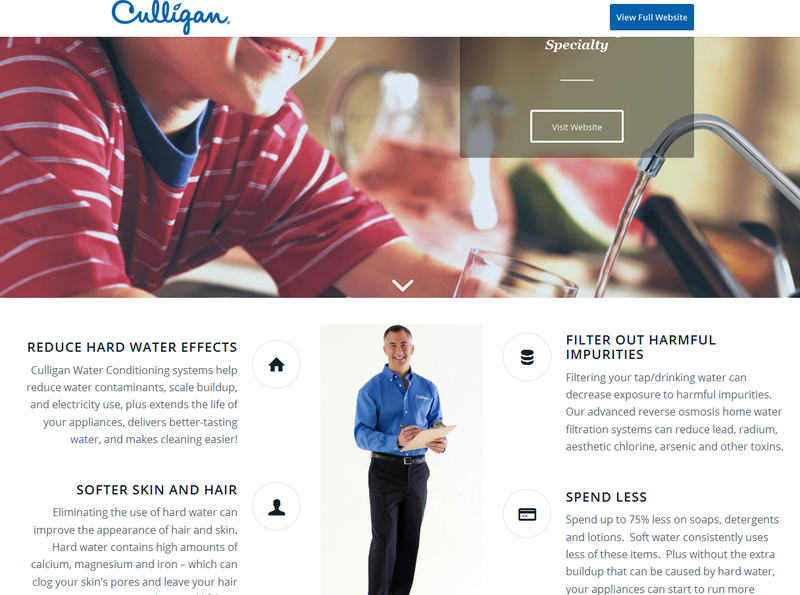 Culligan Water Conditioning in Yankton was a client of Heartland Internet Solutions since 2012. In 2015 it was sold to new owners who contacted us immediately to talk about creating a mobile-friendly site. Jared choose a professional email account with us as well as having us handle his DNS records for an additional domain name of culliganyankton.com. Thanks Jared for staying with Heartland Internet Solutions for all your website needs! Easy access to full website! Build key word content for search engines.